Travel inspiration has always come from a variety of sources – a tip from a friend, a magazine article, something on television, and of course more recently from social media. I’m living proof that Twitter can bring you pie. 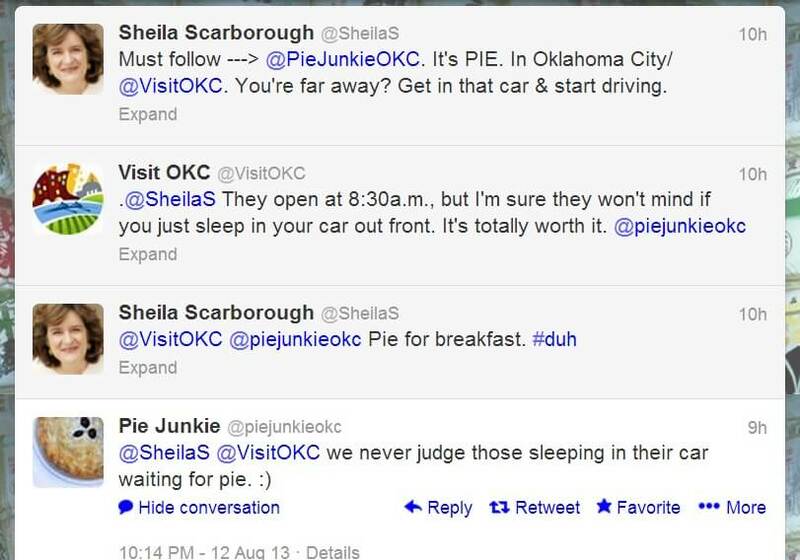 Here’s a screenshot of some tweets from 2013; a conversation between me, the Oklahoma City tourism folks, and a business that I’d found on Twitter but never visited … a pie shop in OKC called Pie Junkie. I loved the sense of humor and appreciated that they were listening online – it’s a battle sometimes to get people to understand how important it is for businesses to respond on social media. Years passed. I didn’t visit Oklahoma City all that often, and when I did go, I kept missing opportunities to get some of that pie. Clearly my priorities were not in order. I drove over to the Plaza District on my way out of town, easily found Pie Junkie’s cute storefront, and walked in to a continuation of my Twitter conversation. It was such fun to meet the staff in person and learn about all of the pies; some are always available, some are seasonal. 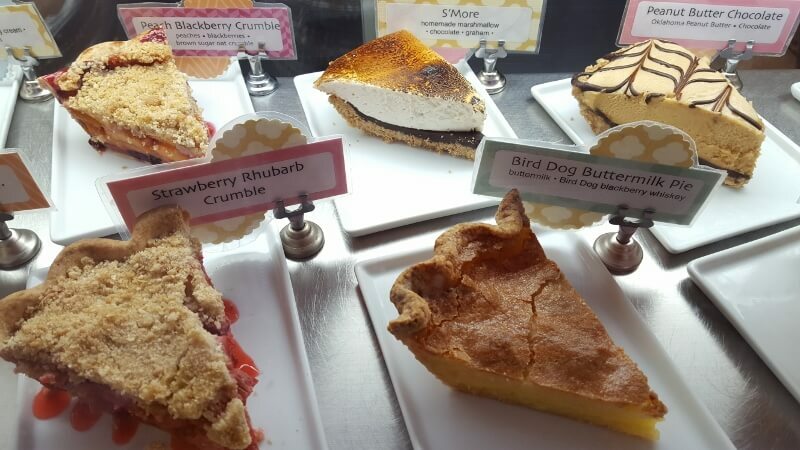 I narrowed my choice down to Peach Blackberry Crumble, a Southern Banana Cream, or their Bird Dog Buttermilk chess-type pie made with Bird Dog Blackberry Whiskey. The buttermilk won. I had a six hour drive ahead of me and needed something that would hold up. 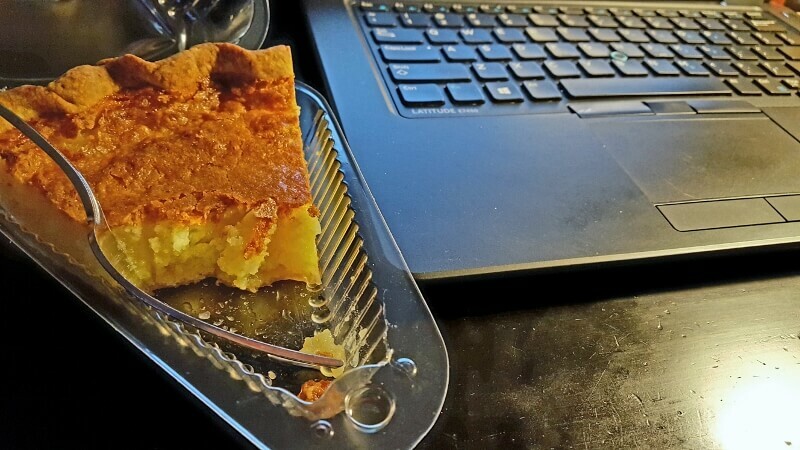 Did my precious pie slice make it home, and did it taste good?